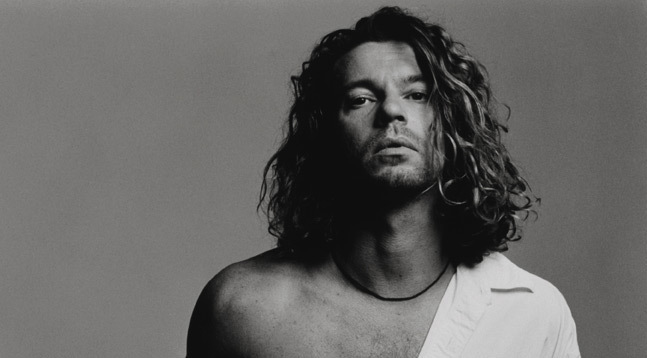 WAIST HIGH: APA Announces Representation Of Michael Hutchence’s Life Works. APA Announces Representation Of Michael Hutchence’s Life Works. From The Music Network: The life and death of INXS frontman Michael Hutchence could soon be put on show in the form of a Broadway musical, documentary film and feature film due to a deal inked between Hutchence's former manager, Martha Troup, and US talent and literary agency APA (Agency for the Performing Arts). The deal was signed after the singer's death in 1997 where Michael’s Trust was set up to "develop projects that highlight Michael's genius." Troup says plans are already underway for the documentary, in spite of INXS' refusal to give permission for the use of the band's music. APA, "an industry leader in the field of talent and literary representation for nearly fifty years," said they are "pleased to announce the exclusive representation of the significant assets of Michael Hutchence's life works. In conjunction with Michael's Trust (CIL), APA has been commissioned to spotlight various projects that highlight Michael's creative genius." There has been very little written, produced or released in the Australian or international market about Michael Hutchence since his untimely death. Michael Hutchence's Trust owns and controls significant assets that celebrate his life, death and work. The unique opportunity exists to restore, preserve and celebrate his legacy.